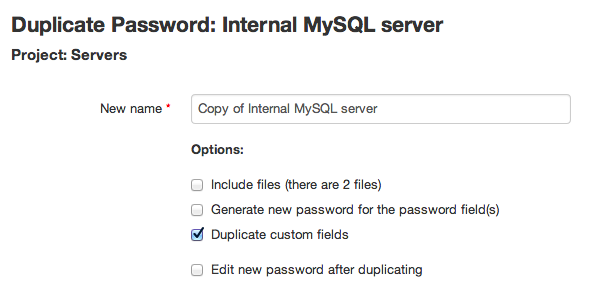 There are several options when duplicating passwords: duplicate also its files (if the password has files), generate a new password for the password(s) field(s) and copy also the custom fields. There's also the option of directly editing the new password after duplication. The "My Account" tab of the user is now accessed clicking on the user name. You want to make a custom CSS for branding purposes, security (so that the sign in screen doesn't look like the default Team Password Manager's sign in screen) or for practical reasons if you work with more than one installation of the software (so you can differentiate them). To see how this works, take a look at the CUSTOM_SIGNIN_CSS define in the config.php file of the new release. We also provide with a sample CSS file to get you started. 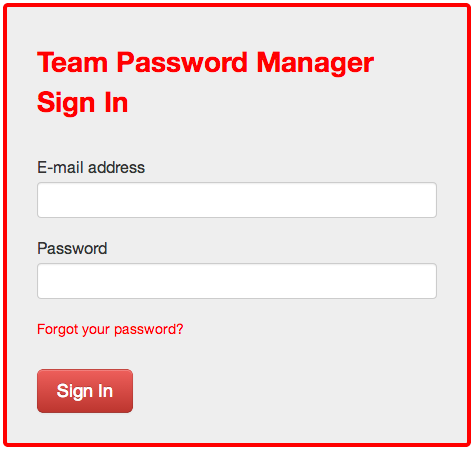 Note: this option is not available for the free version of Team Password Manager. 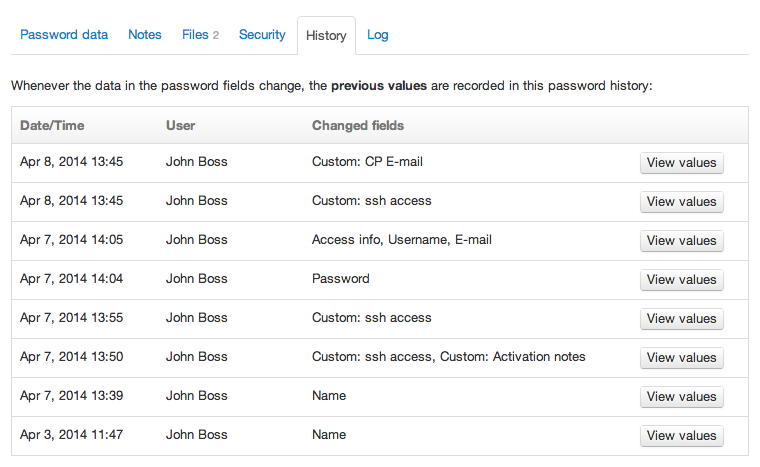 We've written a document explaining how to use custom fields: Custom fields in passwords. From now on, every time a datum in a password is changed, its previous value is stored for later reference. 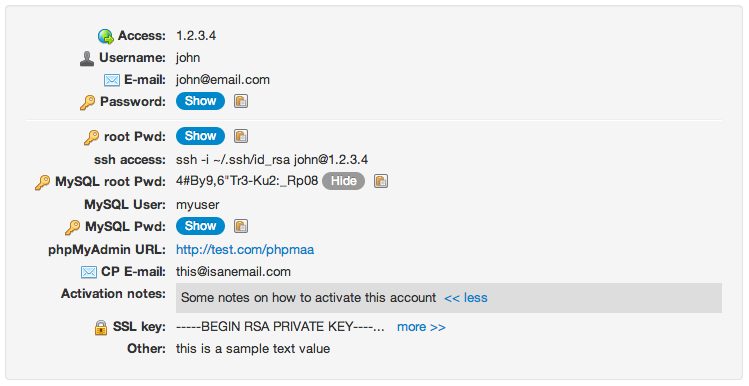 This affects the name, the basic data fields (access, username, e-mail, password), the main notes and the custom fields. 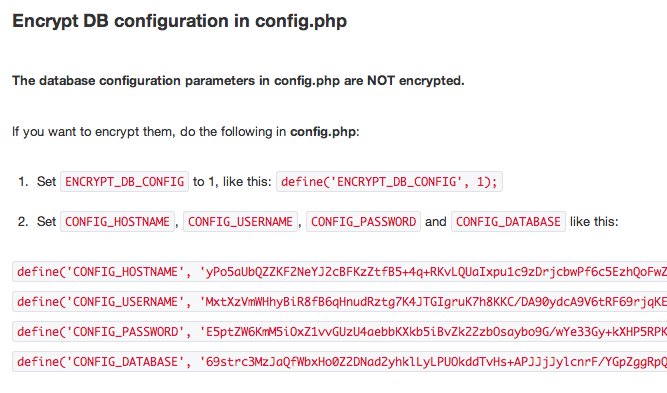 Team Password Manager is from now on ready to be installed on systems that run PHP 5.5. These are the main new features. There are some little changes also, which you can see on the Changelog. As always, we'd like to thank everyone who has contributed with suggestions to make our product better.